Shopper's Stop is one such brand that we all girls are fan of! I have shopped from Shopper's Stop outlet N number of times but never got a chance to shop from their online shopping website! 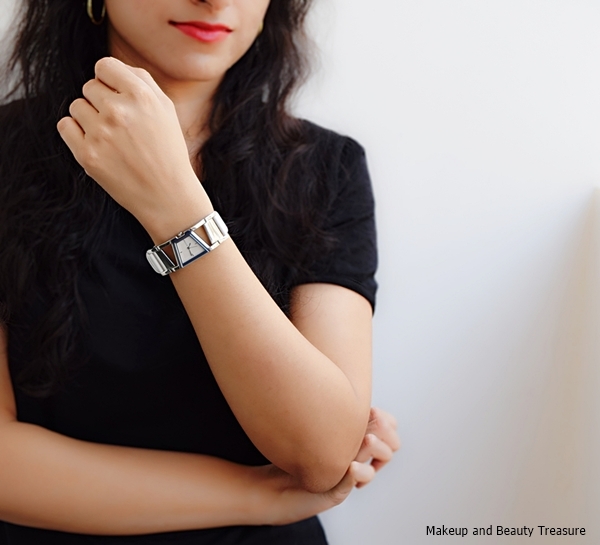 Recently I ordered a beautiful watch from their website and today I am going to share my online shopping experience with you guys! I have a pretty big collection of watches and when I saw this beautiful analogue watch* from Titan, I instantly made up my mind to order it! I got a super gorgeous bracelet as a complimentary gift! The watch costs Rs 2695! I am flattered over the bracelet! Shopping from Shoppersstop.com is pretty easy! You just need to add the items of your choice to the cart and proceed to checkout! You can pay via debit and credit cards, net banking, gift vouchers, gift cards and cash on delivery! The payment process is very smooth and easy! My package arrived safely at my place within 2-3 days! The items were packed well in bubble wrappers and there was not a single scratch on my watch or bracelet! Shoppersstop.com stocks everything related to fashion and lifestyle. They have a huge variety of fashion, beauty, and homeware products! They serve everyone and you can find everything for men, women and kids! Free shipping is offered for orders above Rs 999! After browsing through a huge collection of women's watches, I finally chose this gorgeous white watch with a white leather belt! I have slightly thin hands so I always make sure to order leather belt with buckle closure for a good fitting! 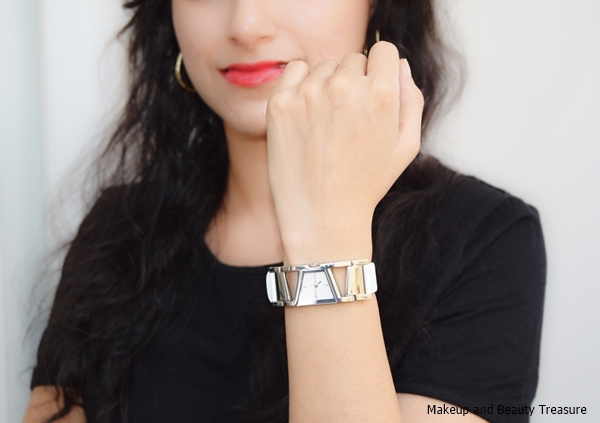 The watch is from Titan so it is of very good quality and I loved how well it complements with all the outfits! I also got a beautiful bracelet as a complimentary gift from the brand Titan! - The website is user friendly! - You will find everything related to fashion, beauty and homeware! - You can pay via debit, credit card, net banking or COD! - Fast and safe delivery! - Separate section of offers! - Shopper's Stop provides genuine products! - Free shipping above Rs 999! I had a very good experience with Shopper's Stop website! I got a Titan watch which is extremely beautiful! If you are planning to get a watch then I highly recommend you to check out the website as many offers are going on and you may find a watch of your choice at a reasonable price tag! Have you shopped from Shopper's Stop online shopping website? Great haul. The watch and bracelet both are very classy and you look as gorgeous as ever. The bracelet looks very pretty. I haven't shopped from their online store, but I love shopping at Shopper's stop. Their online website is amazing too!